Protecting the privacy of consumer information held by financial institutions is at the heart of the Gramm-Leach-Bliley Act (GLBA) of 1999. The GLBA applies to financial institutions – companies that offer financial products or services to individuals, like loans, financial or investment advice, or insurance, and help organizations and individuals borrow funds, manage risk, manage funds, and increase the size of financial holdings in order to achieve targeted goals. Financial institutions must securely store personal financial information, advise individuals on their data sharing policies, and track user activity. Companies that fail to comply with GLBA regulations face a $100,000 fine per violation and even potential jail time. Despite being in existence for nearly twenty years, many businesses still struggle to meet GLBA compliance. What if you could ensure all your organization’s financial data and strategies comply with the GLBA all with one simple solution? The good news is ECMNOW! makes it easy! • Utilize our patented artificial intelligence (AI) engine to automate document processing to avoid liability caused by human error. • Electronically send consumer privacy notifications and opt-out options quickly and easily to comply with the Financial Privacy Rule. • Locate the documents you need in seconds with keyword searching to respond to requests quickly. • Implement easy-to-use cloud technology to improve security without a costly investment. • Reduce operational expenses by eliminating hardware and IT costs by managing records in the cloud. • Avoid costly fines by having a system that ensures data security and procedures are followed that were established by the Safeguards Rule. • Set up and ensure security access rights for every information request to prevent unauthorized access. • Track all user login and activity to make information audits a breeze. • Ensure all documents are secure, both at rest and when transmitted with document encryption. How Does ECMNOW! Help With GLBA Compliance? What if you could ensure all your organization’s data was secure and in compliance with GLBA? ECMNOW! provides companies with controls and system security that enables compliance, ensuring all important documents are safe, secure, and compliant with current GLBA regulations. Are your current security processes GLBA compliant? The Safeguards Rule mandates financial institutions have a written security plan that describes how they maintain customer confidentiality. ECMNOW! provides extensive security features, reducing time, energy, and money spent trying to establish security plans. 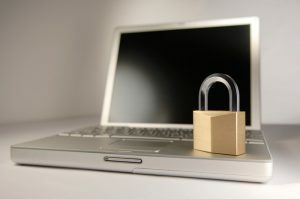 Are you able to notify your customers about sharing their private information? The Financial Privacy Rule requires you to notify your customers when and how their information is being shared. ECMNOW! allows you to share an unlimited number of privacy notices so your customers are always aware of when their data is being shared. Are you tired of spending hours trying to track down information requests? GLBA requires user activity to be tracked. ECMNOW! has powerful search functions that allow you to track user login and activity making information audits a breeze. Can you afford a fine from not being compliant? GLBA violations are $100,000 per violation, not to mention potential imprisonment for up to five years. ECMNOW! along with good data protection practices enable GLBA compliance to help you avoid costly fines. Are your important documents safe if disaster struck? Disasters happen and often its when we least expect them. Using ECMNOW! you know your files are always protected safely in the cloud with ImageSilo, allowing you to recover from disaster quickly. Can you access your information from anywhere? Ensure access anytime, anywhere with ECMNOW! Reduce operational expenses by eliminating hardware and IT costs through implementing easy-to-use cloud technology to improve security without a costly investment. We want to show you how Microtek’s almost 50 years of experience can help you and your organization with the GLBA to ensure compliance, improve productivity, and save money. Plus, all of our work is guaranteed! If you have any questions, would like any additional information, or would like a free and no obligation consultation and estimate, please don’t hesitate to call us at 314-872-3322 or 800-264-2808 and ask for Aaron Liess or Mark Sandheinrich, or email us at sales@microtekstl.com. Thank you!